For three decades, the iconic, world renowned BON JOVI has steadfastly earned and maintained a stellar reputation as ambassadors of American rock ‘n’ roll, performing for more than 37.5 million fans, selling more than 130 million albums and racking up 96 No. 1 chart debuts around the globe. On the heels of yet another record-breaking year in 2013, which included another No. 1 record and the No. 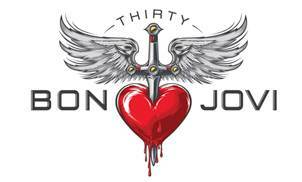 1 worldwide tour, Bon Jovi announces plans for an extensive 30th Anniversary catalogue campaign with Island/UMG. The initiative will launch with the June 27th release of the seminal album New Jersey in a remastered 1-CD and digital edition, a 2-CD and digital Deluxe Edition, and a 3-disc (2-CD/1-DVD) Super Deluxe Edition. More 30th Anniversary commemorative titles, including newly-compiled collections of studio and live recordings, are scheduled for release this year. Released in September 1988, New Jersey went straight to #1 in Australia – spending seven weeks in the ARIA Top Ten, earning Quadruple platinum accreditation over the years. In the US the album spent four straight weeks at No. 1 and spawned five Top 10 singles (“Bad Medicine;” “Born To Be My Baby;” “I’ll Be There For You;” “Living In Sin;” and “Lay Your Hands On Me” – the only rock album ever with that many Top 10 hits. The album is multi-platinum in the U.S. and has sold more than 10 million copies worldwide. Bon Jovi originally envisioned the New Jersey project as a double-LP, using the working title Sons Of Beaches. But in the end, Mercury Records released the album as a 12-track single LP and the band renamed it simply New Jersey, in honour of their home state. 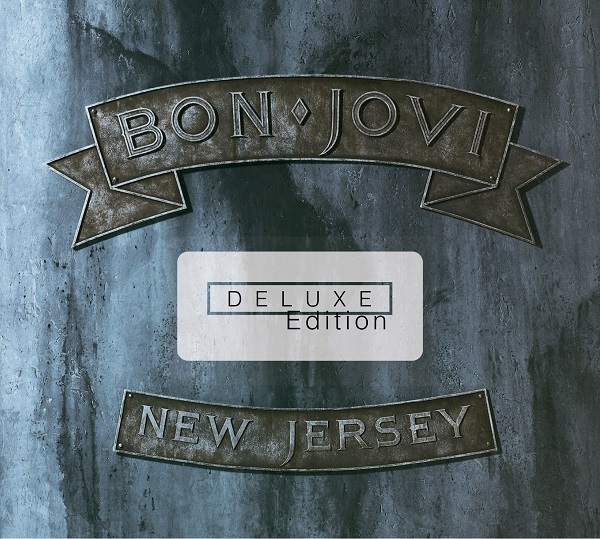 With the new Deluxe and Super Deluxe editions, the New Jersey originally imagined by Bon Jovi can finally be shared with fans. The 2-CD Deluxe Edition, which will also be available digitally, includes the remastered original album, plus three bonus tracks which were originally released as B-sides or CD-single bonus tracks. The Deluxe Edition’s second CD features the 13 Sons Of Beaches demos: more than an hour of previously unreleased demos from the New Jersey recording sessions, remixed exclusively for this project. Also included is a 32-page booklet with rare images of the band from the New Jersey era, including never-before-seen photos from the making of the album; images and memorabilia from the mammoth 16-month, 26-country, 267-showNew Jersey world tour; insider commentary on the bonus tracks and much more. The 3-disc (2-CD/1-DVD) Super Deluxe Edition also features the remastered original album and all of the bonus audio tracks included on the Deluxe version, plus a DVD with the behind-the-scenes documentary ‘ACCESS ALL AREAS: A ROCK & ROLL ODYSSEY.’ Groundbreaking, highly-acclaimed director Wayne Isham, who also directed the music videos for Bon Jovi’sSlippery When Wet and New Jersey singles, followed the band around the globe with a documentary film crew to chronicle the entire New Jersey tour, including Bon Jovi’s Homecoming concert at Giants Stadium, the band’s history-making concert at Lenin Stadium in Moscow, and their visits to iconic landmarks and historic concert venues around the world. The extensive footage was edited for 88-minute film released in 1990 on VHS, but never before available on DVD in North America. Also included on the set’s DVD are the seven official music videos commissioned from Isham for the New Jersey album. The Super Deluxe Edition will be housed in a special DVD-sized digipak with a 60-page softcover book including rare photos and memorabilia. Last year, Bon Jovi released What About Now, their 12th studio album and the third in a row to debut at No. 1 on the Billboardcharts. The band’s “Because We Can – The Tour” was 2013’s No. 1 tour, filling arenas and stadiums worldwide, proving that Bon Jovi is still the world’s number one band.